Excellent product. 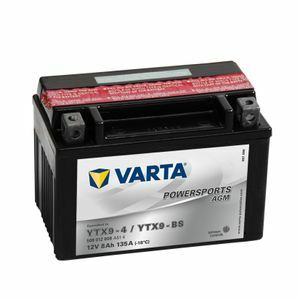 Varta can not fail plus service from Tayna is always top notch. Recommended to all. Thanks. First class service.Prompt delivery .Battery correct type and size. Needed a battery for a moped and found Tayna Batteries online. Need not look any further as they had the right battery at the right price. Also fast post. All in all great service and I will use Tayna again. Brilliant service, and product, arrived earlier than expected. Used their product before, shall use them again! Fitted To: Piaggio. X-Evo. 250cc. 2010. Easy, prompt, on time. Thank you. Delivered on time, good packaging, great battery. 4th battery bought from TAYNA.Best price and service anywhere.